Nothing makes us happier than to hear from our pet owners. 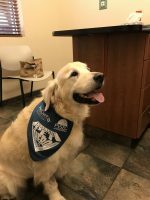 If you would like to share your dog or cat’s cancer care experience with PetCure Oncology, please use our online form to submit your testimonial at the bottom of this page. We’d love to hear from you! I cannot say enough about PetCure Oncology. They got us a rush appointment when other facilities were making us wait weeks. They understood the seriousness of our situation, calmed us down, and provided real-time solutions. 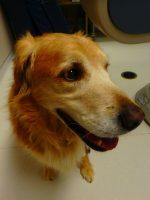 PetCure Oncology has given us the one thing that we could not give Bruce, which is more time. Honestly- the ENTIRE STAFF was wonderful. Every single person greeted us and Bruce every morning and congratulated him when he finished treatment. This facility understood the severity of a bad situation and did everything in their power to make it better for us and for Bruce. 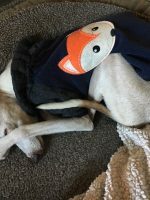 In September 2016, our 15-year old Italian Greyhound "Tag" had a massive seizure that almost ended his life had it not been for our local pet emergency clinic. Upon a CT scan, our vet specialist identified a small brain tumor and estimated Tag had 6-weeks to live without treatment. We were given a few options for surgery, but they were entirely too evasive. She mentioned Petcure Oncology in Cincinnati, OH as an option, so we decided to investigate further. After a few phone calls to the clinic, we decided to move forward with the procedure. Tag completed the third treatment on Sept 29, 2016 and was discharged. 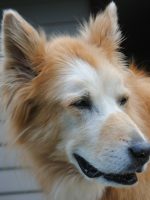 On December 3, 2017 Tag achieved his 16th birthday which would have not been possible without Petcure Oncology. He is still going strong over a year later after the procedure and are confident that his life has been extended. Throughout the entire process, the staff was extremely professional and always took the time to keep us informed of the status. We are grateful for this clinic and their expertise. Would definitely use them again. Thanks again. How do I begin to express my gratitude to PetCure and their awesome staff in Pittsburgh!? I am happy to report that 3 months after his SRS treatment, Nikko’s tumor has shrunk significantly! Yay Nikko! Every extra day with him is a gift and a blessing and we look forward to the additional time we have to spend with him. 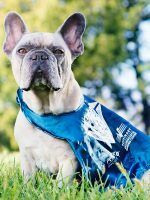 Thank you PetCure! Can’t wait to update this review in another 6-12 months! PetCure Oncology’s extensive knowledge and sense of urgency to help were what impressed me the most. We went from grieving to hopeful. When we felt like all hope was gone, we were given an option we thought we never had. 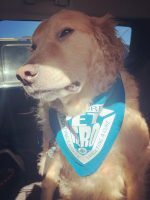 PetCure gave us hope when no one else would. When we were faced with a heartbreaking cancer diagnosis, there was only one place our oncologist felt comfortable sending us. The wonderful people at PetCure were there for us every single step of the way. From the initial phone consultation, to scans & diagnostics, to the cutting edge SRS therapy, they treated us like family. I am so grateful for the generous amounts of support, patience, and compassion they provided during this stressful time. It truly made all the difference in the world. We found our angel on earth, Elphie, in 2015 under a car. When we found out shortly after that she had a brain tumor we were destroyed and so lost. We heard about PetCure [but] had no idea how INCREDIBLE the staff and doctors were going to be. We traveled from Cleveland not knowing what to expect. They took amazing care not only of our beloved cat, but of us as well (and our dog Rollie we brought along)! They made us so comfortable and feel so welcomed. They went above and BEYOND what they needed to and exceeded our expectations greatly. We could not be more grateful. Our gratitude cannot be put into words. The doctors were incredibly competent and the staff is loving and knowledgeable. They were so generous and kind. I cannot speak highly enough about them. I have never seen such veterinary intelligence. Each doctor or staff member we met was qualified to say the very least. They took care of her like she was their own and comforted us like we were family. 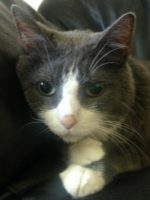 [PetCure Oncology at] Care Center gave us more time with our Elphie, time I would never have had. She almost immediately showed signs that the radiation had worked! The following week she was sitting in the sunlight streaming through the window, seemingly able to see much better. She was better. I must have called a million times and asked even more questions than that. Never once was it an issue and I was always treated with such kindness and empathy. For such an awful situation, our hearts shockingly felt so full from these incredible people. I am so thankful for my extra time with my best friend and I am thankful for the people we met who will ALWAYS hold a place in our hearts. Their kindness and generosity will never be forgotten. 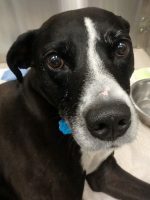 I would recommend PetCure at Care Center insistently to anyone unfortunately caring for an animal battling cancer, or just as an all-around incredible hospital with even more incredible people. We love you all and THANK YOU! We felt that we had a good chance of giving her more quality time. The doctors said that the results [could] be 18 months [of additional life]. That's about the rest of her life. If we could offer her this time - [with] quality of life - we were going to do that for her. If I'm going to give my daughter surgery on her knee, I'm going to give Karma radiation therapy. She's part of the family. Brownie is a four year old chocolate lab mix who had small cell sarcoma............ a tumor the size of a baseball on his left shoulder, not yet touching the lungs but pressing against the ribs. When he first went to his regular vet in Oct. 2016, he was given 6 months without treatment due to the fast growing cancer. He went to PetCure Oncology in Cincinnati in Nov. 2016 for treatment. 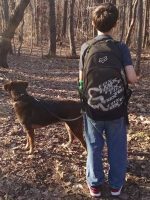 His checkup in Feb. 2017 saw a 50% reduction in tumor size and in May 2017 he went to the PetCure Oncology in Pittsburgh (closer to home and great too) and the tumor was reduced another 20%. He will eventually have it removed surgically. His quality of life is wonderful and he and his boy love to take long walks, play fetch, and sleep in Tom's room at night. Brownie's family cannot thank you enough! My experience was beyond my expectations from the very beginning. From Dr. Pohlmann, to Kelli and Kevin who were a part of the team, to your front desk, everything was so positive and caring. Two weeks ago when Sonny had his first seizure I was a wreck. 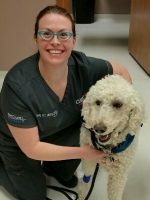 From [another specialty practice] to eventually choosing PetCure Oncology, I felt comfortable and trusting of your care plan for Sonny. 13 years ago my Dad died of kidney cancer and at that time there were no SRS machines to help him in Louisville or nearby. No one in the radiation dept knew what I was talking about. When I googled SRS when Sonny needed radiation, how excited and grateful I was to find it in Cincinnati! My 13 year old dog, "Sonny," is named after my Dad. I feel honored to have him at the Care Center to get the treatment I so desperately sought for my Dad years ago. A heartfelt thanks to all of you. The front desk, AMAZING! They always were there to help with my grandkids. One receptionist even colored with them. And Kelli, Sonny's radiation tech, the best of the best! Her enthusiasm is contagious. She walked me through everything in the vault where the SRS machine is and spent time explaining Sonny's care. And she gave endless hugs to me to make me feel everything would be ok! I won't ever forget her smile, her energy. She is a friend I won't forget. Dr Pohlmann, how lucky are we to have her! She helped me make the decision to choose PetCure over [another specialty practice's] traditional radiation treatment. I never looked back after the decision was made. It absolutely was the right one! And now one day at a time, as I move forward with Sonny's long term care, I know PetCure Oncology and Care Center gave him a fighting chance to beat his cancer. Thank you for all the "pet hero's" out there that you have treated. I love your motto, "fighting cancer, targeting a cure," on Sonny's bandana that he wore on his last day of treatment. And thank you for "today" and everyday forward that Sonny is still able to be in my life. PetCure Oncology and the entire team helped save and extend Cass’s life. I’m completely convinced that PetCure and the SRS technology is the right decision for those that want the very best treatment for their companions. I knew Cass was in great hands and felt extremely comfortable that he was going to be well attended to with this treatment journey. The treatment and recovery were seamless, a cakewalk, and before I knew it, he graduated on Friday as a Pet Hero! Compared to where he was, it’s a miracle.